We're all craving some warmer weather here in northern New England. 40 degrees would be heavenly! How twisted is that??? So to keep myself from going completely crazy I've been working on some summer clothes. 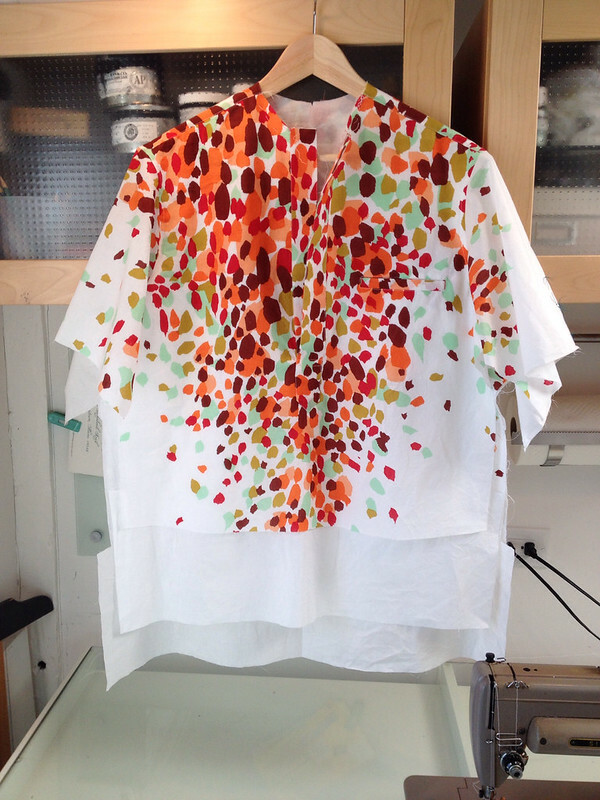 My latest is this cotton shirt. The "short over long" look, done up in a very lightweight cotton border print. Cotton lawn? Voile? I really don't know the difference. What I do know is that, as much as I love the colors and design, this fabric is a little too sheer for me to feel comfortable wearing. Therefore, I've made a double layer shirt. I'll leave wearing see-through shirts to these guys! 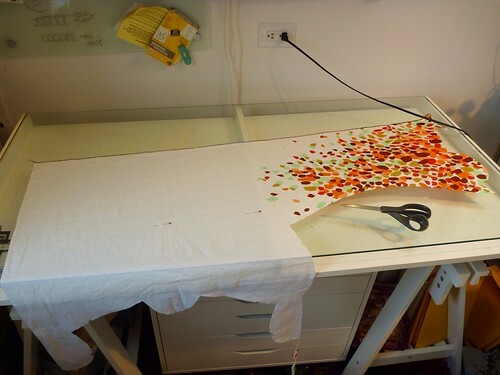 I wish I'd taken a picture of this fabric before I started cutting it up. It must have been about 60" wide with the pattern clustered in repeating triangle shapes along one edge. In my usual cheapskate ways I only bought 2 yards, which gave me a little less than three repeats of the pattern. 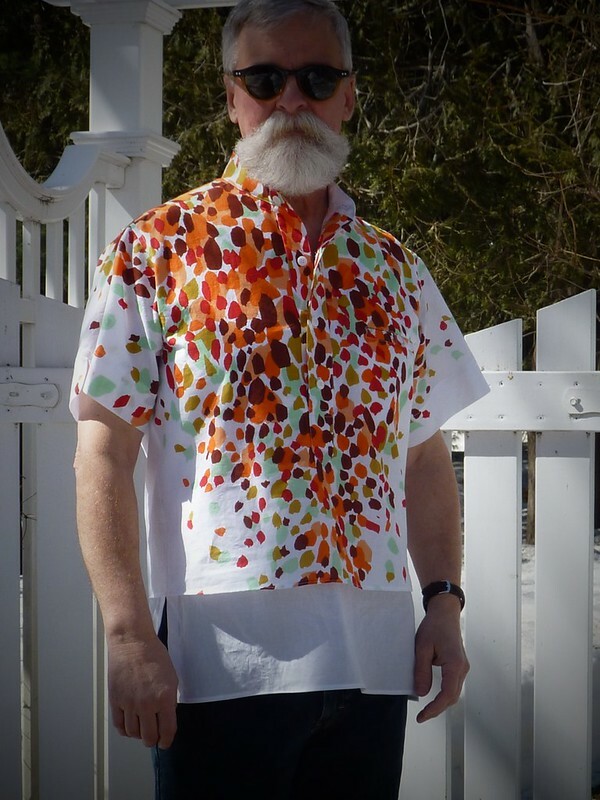 Of course, at the time, I wasn't thinking about making a double layer shirt; so I thought that 2 yards would be more than enough for a short sleeved shirt. I had to get very creative with the cutting, which is another way of saying that it took forever to cut this shirt out! No way to match this bad boy, so I opted for a pullover style with a placket front. This is just the sleeve placket from David Page Coffin's Shirtmaking book on steroids. It's a great example of one skill leading to the next. 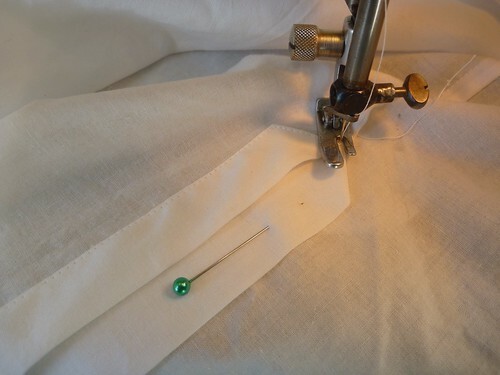 If you can make a sleeve placket, you can make a placket front shirt of your own design. I went with a simple band collar out of necessity. There just wasn't enough fabric for a collar; and even if there was I think I'd still go for the band. I do like a left chest pocket on my shirts. This is actually a hack of Roberto Cabrera's back welt pocket for trousers. It makes for a neat french seamed pocket, sandwiched between the two layers of the shirt. Well worth the time spent making it, plus it's just fun to do. A slit at the side seams of the inner shirt is made by extending the seam allowances an additional 5/8". The extensions are pressed back and edgestitched in place. A construction shot showing the extensions on the inner shirt. 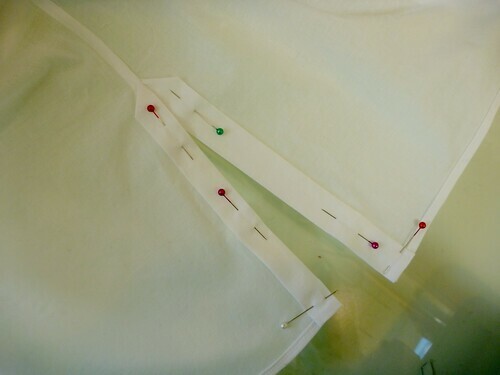 The sleeve and side seams (both layers) are french seamed. 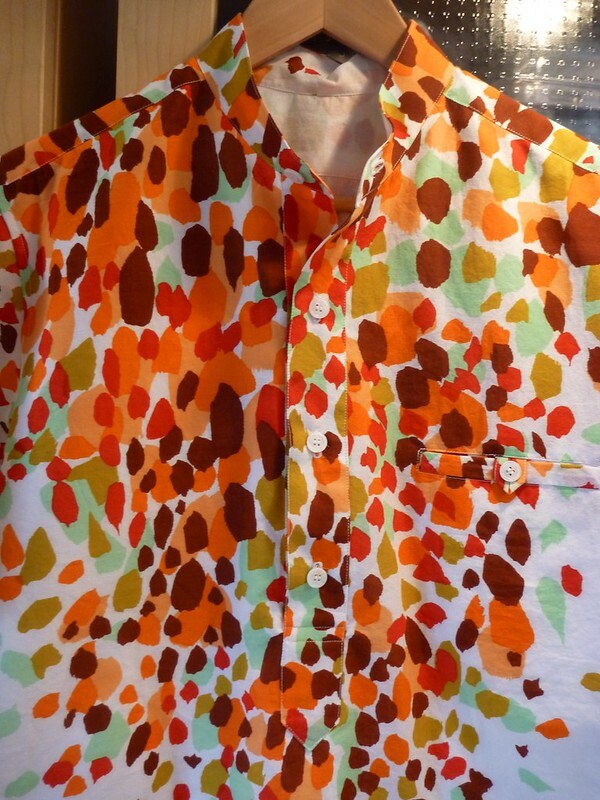 Ridiculously inexpensive and FUN summer beach shirt. I can't wait to wear it! I love the shirt! Amazing fabric and really on trend. 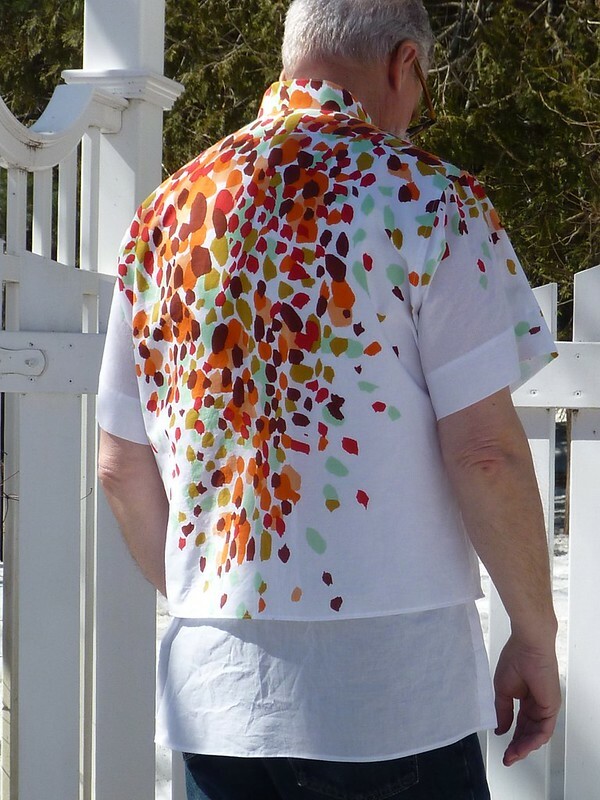 Fabulous shirt! I love how precise your craftsmanship is. Looks great on you, too. You are amazing! 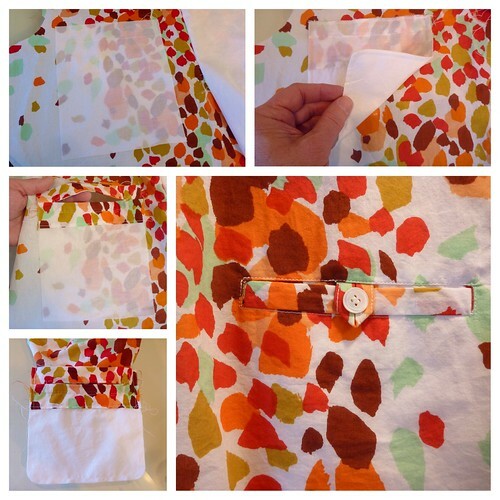 The shirt is absolutely perfect, from the layout to that welt pocket. BRAVO! I learn so many new details from you with your shirts. This one is another first class shirt and your fussy cutting has really paid off. That lovely shirt just does not look all that sheer to me. Perhaps you could wear a nice, white, sleeveless undershirt underneath. I would not allow that shirt to go to waste. What a creative use of a good border print! Great shirt! Looks fantastic and I love the layering, it's very flattering. Wow! That's a great shirt! I love this!!! Im a huge fan of this look. I love layering shorter shirts with longer undershirts!!! Great job! 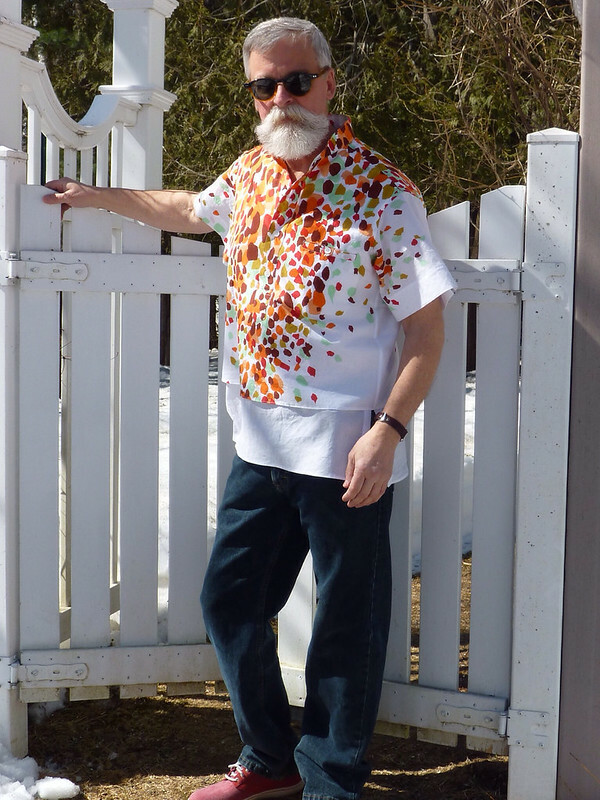 You really pulled this off with a buttondown shirt!!!!! Love love lurve this shirt. Your detailing never misses. You are always the most handsome man to model it too. Next time you can do sheer and show your chest like the pictured fellows. Always impressive workmanship. A nice pair shorts, that shirt, a glass of wine and a nice view of the water (some food too) What more could you ask for? It always impresses me what you can do with singer 301 straight stitch machine. That shirt turned out great! I hope to sew my son a shirt soon. What a beautiful shirt. Great design, fabric choice, pattern placement, details -- love it! Your stitching is really precise and straight. I'm a beginner: what location did you train your eyes to watch as you topstitch -- the inside of the presser foot, the top edge of the presser foot...? I use the inside edge of the presser foot for edge stitching. It's really a matter of slowing down and concentrating on it. I also find that having really good light helps, so I have a little desk lamp that I can focus right at the needle. Slowing down is really key to the whole process. I could use more light -- that's very good advice. Thanks for the help, I appreciate it. You do such great work. I'm really enjoying your blog. I do the same thing with my vintage singer 201K and 15-90/91 machines. What I also do is use and edge stitch foot and/or blind hem foot. It is good for beginners who need help keeping their stitch lines straight and right on the edge of the material. After having see this shirt on Saturday, it's really a pleasure to see how you did it. Beautiful details Men's clothing does not have to be boring! Love it. SO great meeting you at MPB day. It was just the best day ever. Nice Blog. Keep on posting..